Arizona’s Own BBB A+ Rated American Cooling And Heating (AC&H) Announces The Assembly Of A Select Team Of HVAC Service Experts Dedicated To Swift 24-Hour Resolutions For Residential and Commercial Heating and Air Conditioning Breakdowns. Sustaining a quality Heating and A/C Service team is the driving force behind American Cooling And Heating, and sustaining Heating, Ventilation and Air Conditioning (HVAC) systems is their business. American Cooling And Heating has assembled a select team of HVAC Service Experts dedicated to swift 24-Hour resolutions for Residential and Commercial Heating and Air Conditioning breakdowns.This includes repair or replacement of Heat Pumps, Furnaces, and all other types of Heating Systems. ** TDLR TACLA21146C Residential, Commercial, Industrial, HVAC and Refrigeration Contractor. AC&H provides new Heat Pump and Heating System Installation with a design-focus on thermal comfort and indoor air quality. As such, HVAC systems rate among the top energy consumers in homes, schools, other government facilities, offices and in commercial businesses and AC&H designs and installs these systems with energy efficiency in mind. But comfort, air quality and energy consumption are not the only factors associated with the selection and installation of a residential or commercial heating and air conditioning system. Post installation Heating and Air Conditioning Service and Maintenance are key factors in adding longevity to the new HVAC System. A functioning and efficient heating and cooling system is one of the primary components of a comfortable home and a productive Arizona workplace. Heat and cold play a major role, but humidity can also effect the work environment. For example: For a cotton mill, moisture control is critical to efficient operation of the spinning machinery. Whereas in an office environment, temperature is typically the primary controlling factor. System failures can involve everything from poor maintenance to aged and worn components. The average commercial AC system runs a lifespan of fifteen years or less. Likewise with commercial heating systems. AC&H has assembled a crack team of Heating and A/C emergency service professionals. Available 24 hours per day, 7 days per week and 365 days per year one of these teams is ready now to help you evaluate the condition, practicality of efficient repairs and, if necessary, the best approach toward HVAC system replacement. The Heating and A/C service teams are trained on every make and model of commercial heating and cooling equipment. They have a mind for cost-efficient solutions and long-term customer satisfaction. If you prefer a nighttime service call from a commercial heating and air conditioning service expert, American Cooling and Heating is ready for repair of commercial air conditioning systems quickly and effectively. Perhaps your system has not been well-maintained. Dirty coils hinder cooling, heating and humidity functions. Clogged pans may have standing water as well as an accumulation of mold and mildew. 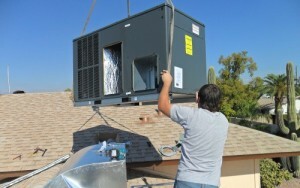 The AC&H Arizona Heating & AC repair teams are ready to resolve the issue. Is the system appropriately sized for the home or workplace? Perhaps changes in use or structural modifications have occurred, perhaps even a converted residential garage, storage space, or for business additional office spaces. Any such changes can disqualify your existing HVAC system for the required workload. 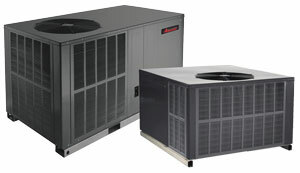 An American Cooling and Heating commercial HVAC team can analyze your current system any time day or night. For successful residential or commercial heating and cooling, a system with the capabilities is necessary for the work load. Not too big or mold and other high humidity issues will occur and not too small inadequate cooling or heating capacity may occur. When choosing a residential or commercial Arizona Heating & AC Repair Center, or a complete HVAC replacement center, American Cooling and Heating can provide the quality level of service that you deserve. 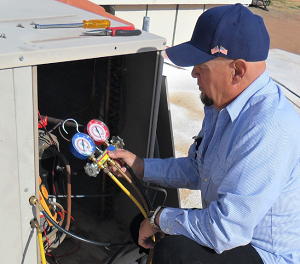 The 24/7 commercial teams are trained to recognize and correct any commercial HVAC problem. They know how to speak in plain details and backup every estimate with a concise written statement. ** A company with a Registrar Of Contractors complaint-free record. 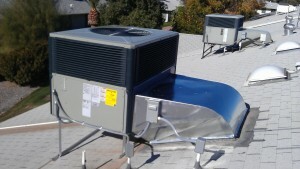 American Cooling and Heating provides satisfaction-guaranteed installation and 24 hour, same-day commercial heating and cooling services for Chandler AZ, Gilbert AZ, Glendale AZ, Mesa AZ, Peoria AZ, Scottsdale AZ, Sun City AZ, Tempe AZ, Queen Creek AZ, All Other Areas in the Greater Phoenix AZ Metro.